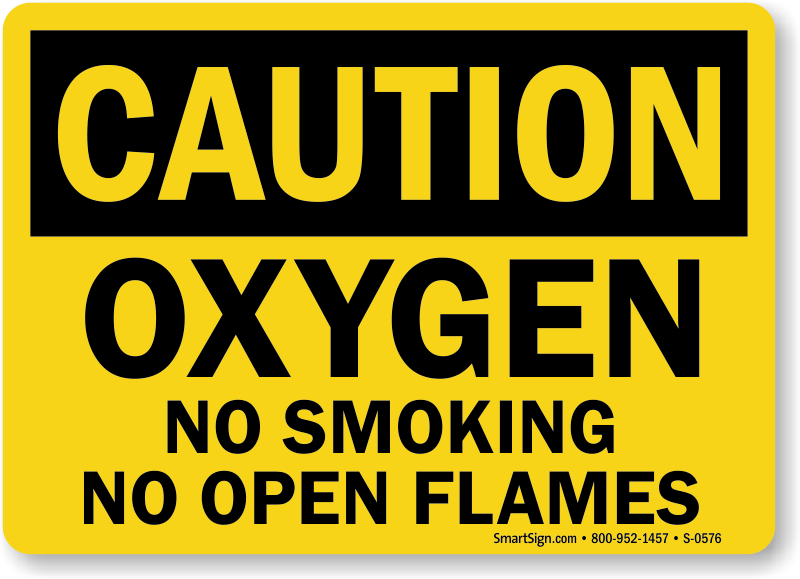 As an element essential to our livelihood and well-being, some people find it hard reconciling that the presence or use of oxygen (i.e. 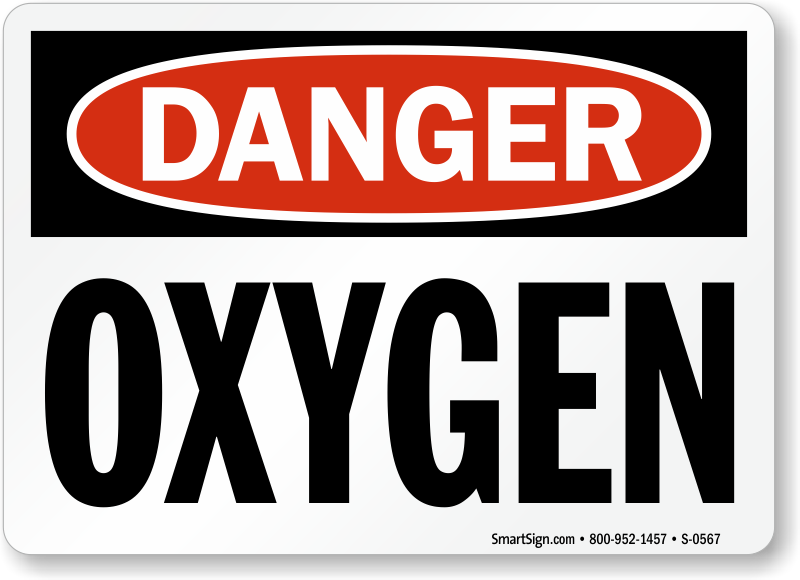 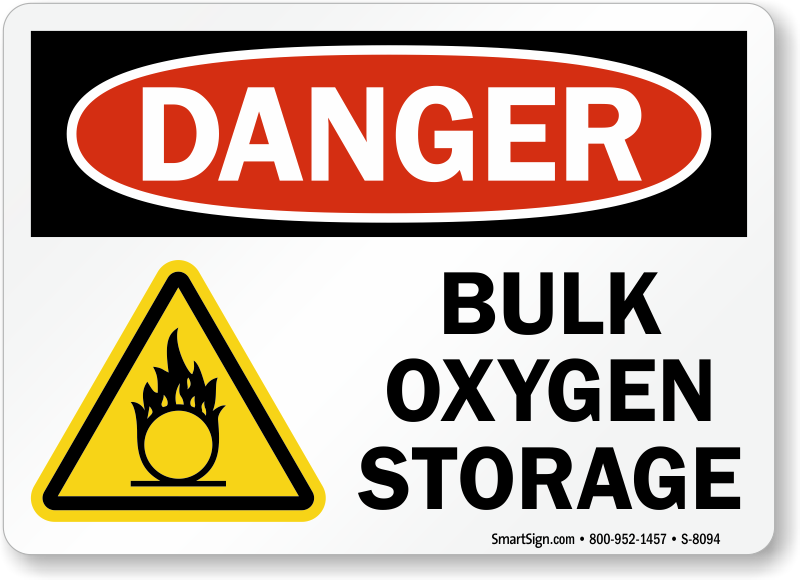 oxygen tanks) can be hazardous, or even lethal. 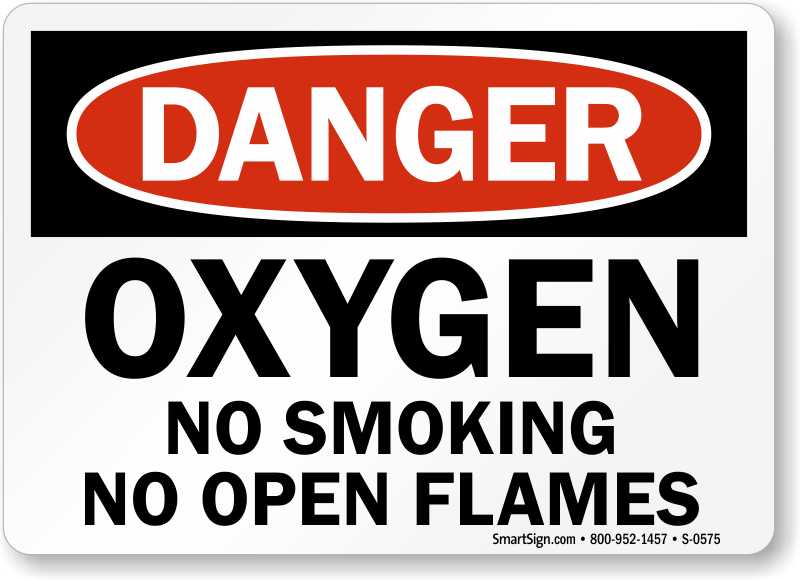 Although oxygen is not flammable on its own, it is considered an accelerator. 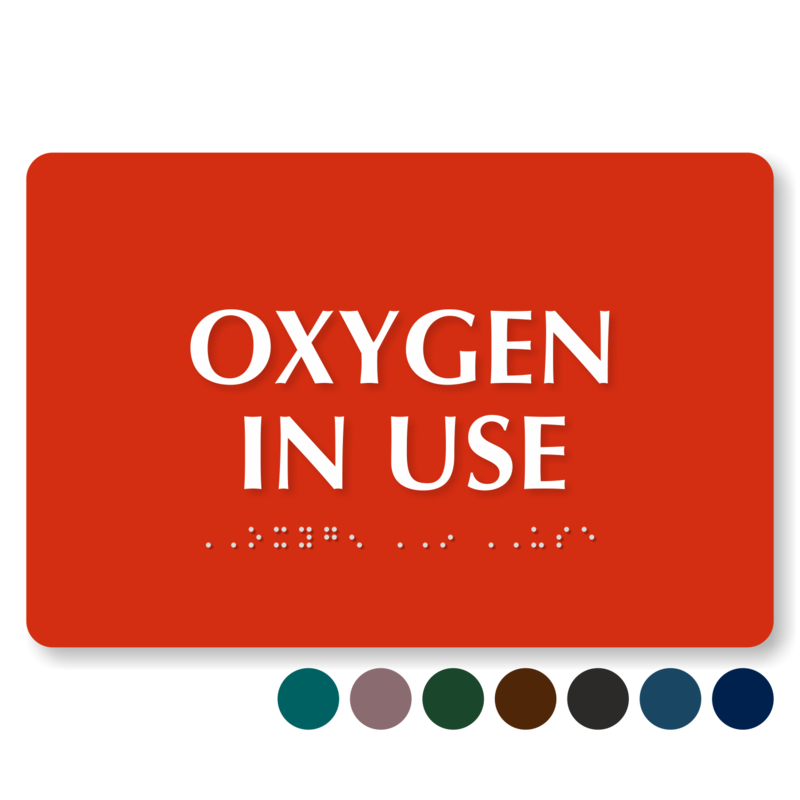 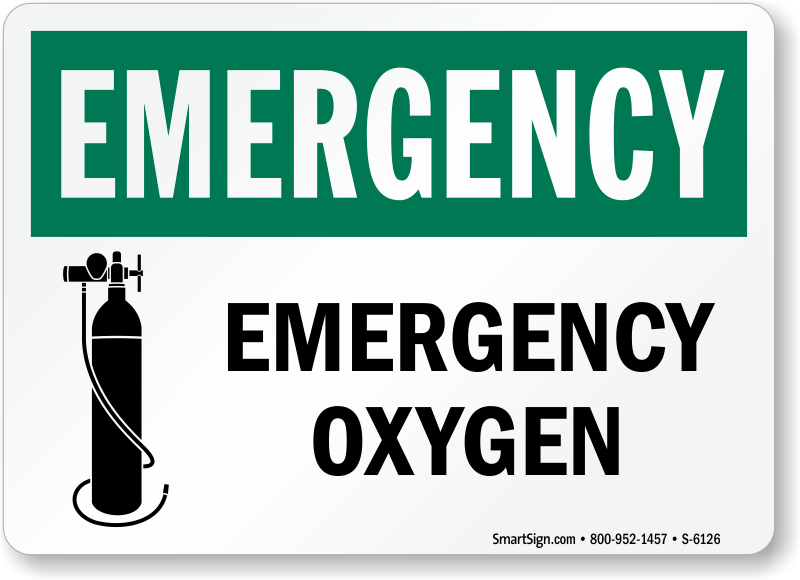 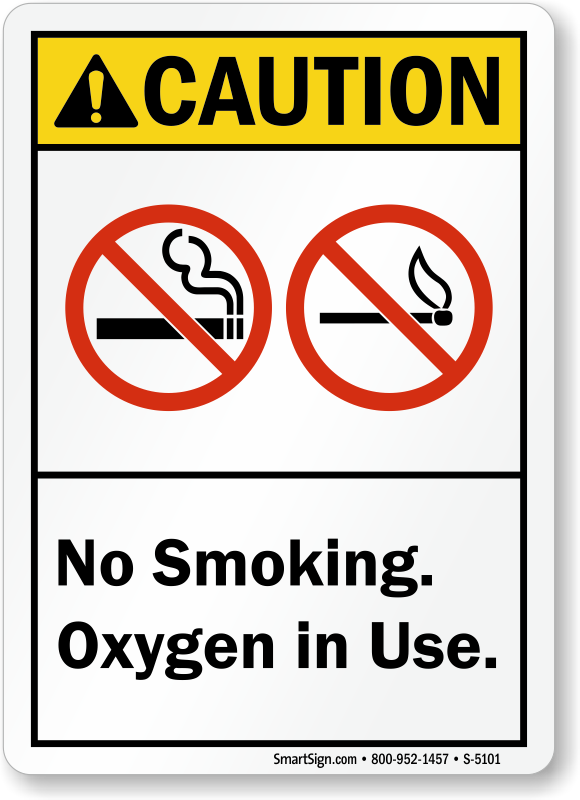 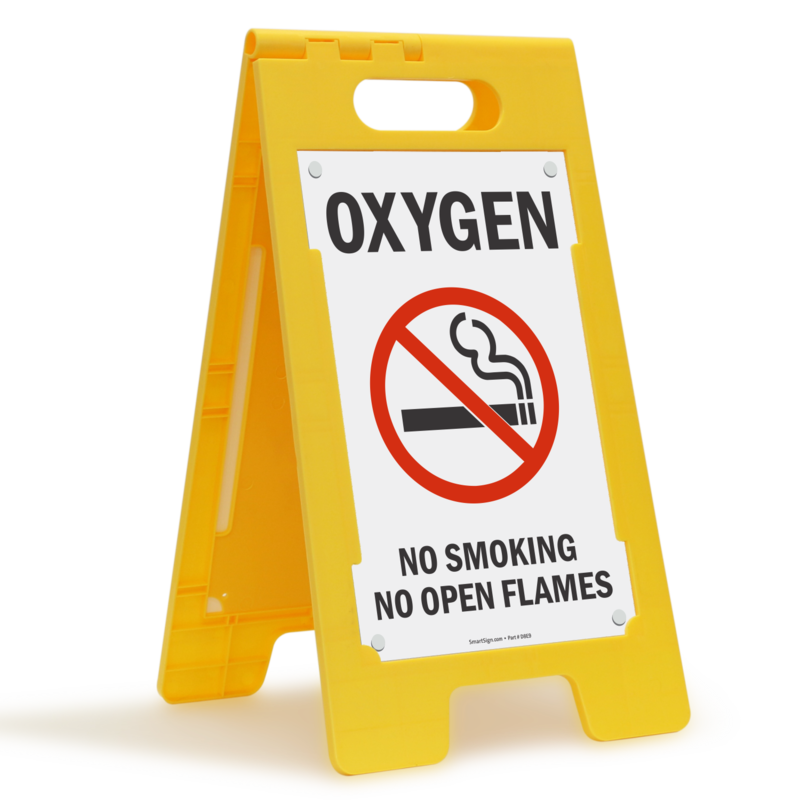 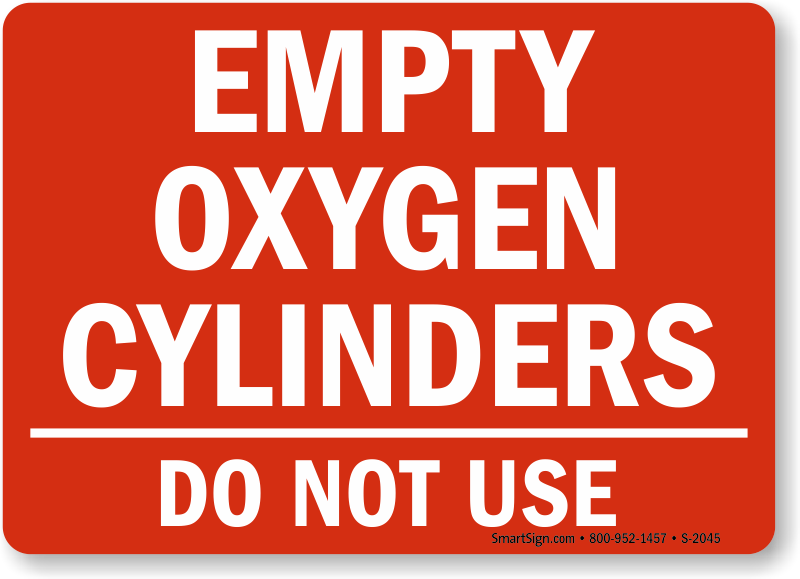 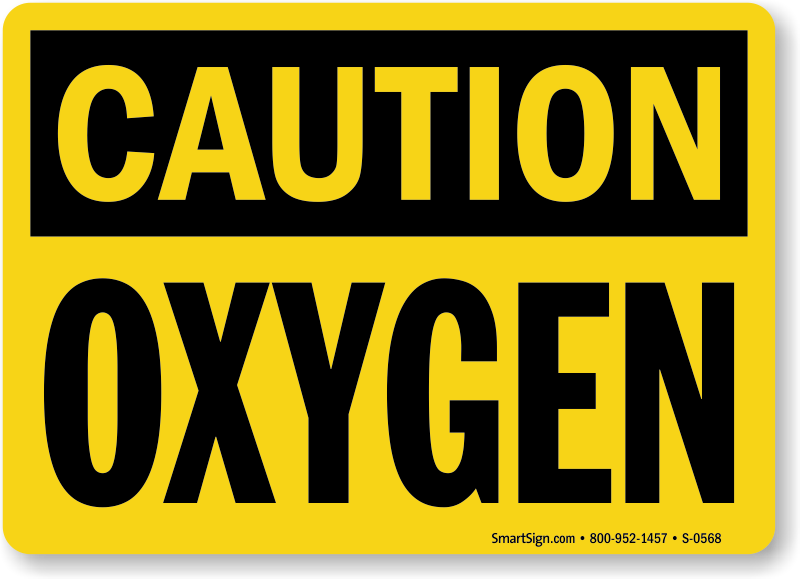 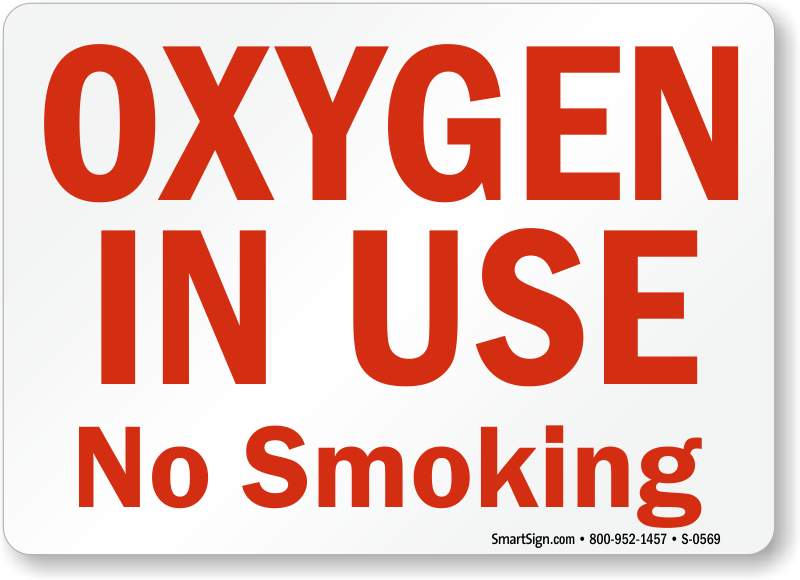 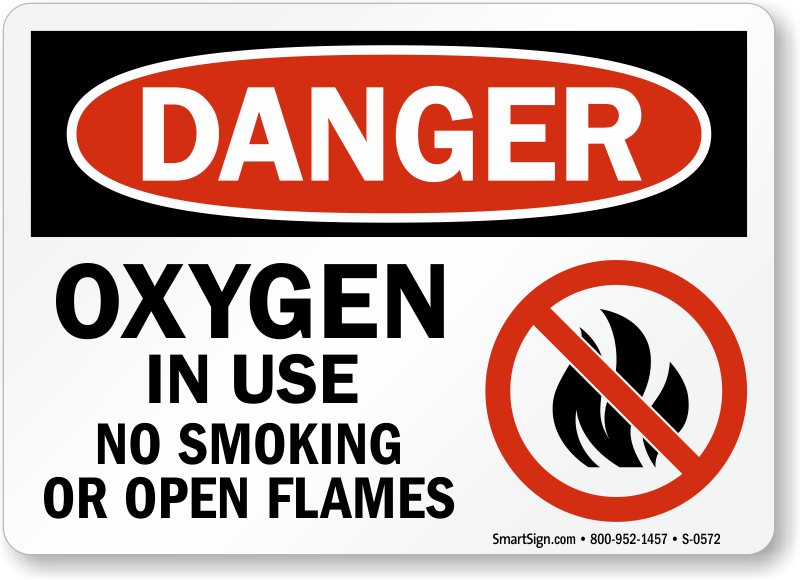 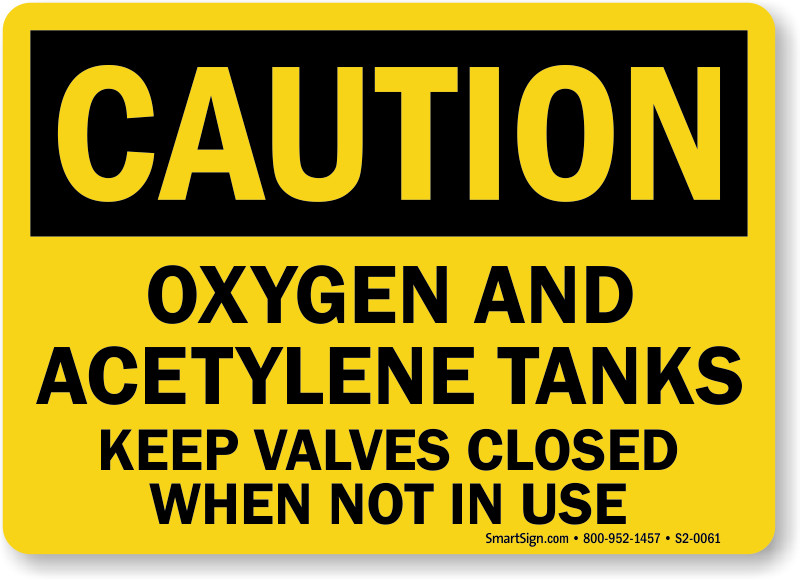 • Posting easy to read Oxygen Signs and Oxygen in Use Signs can serve a powerful deterrent and reminder to extinguish any ignition sources before entering areas containing oxygen. 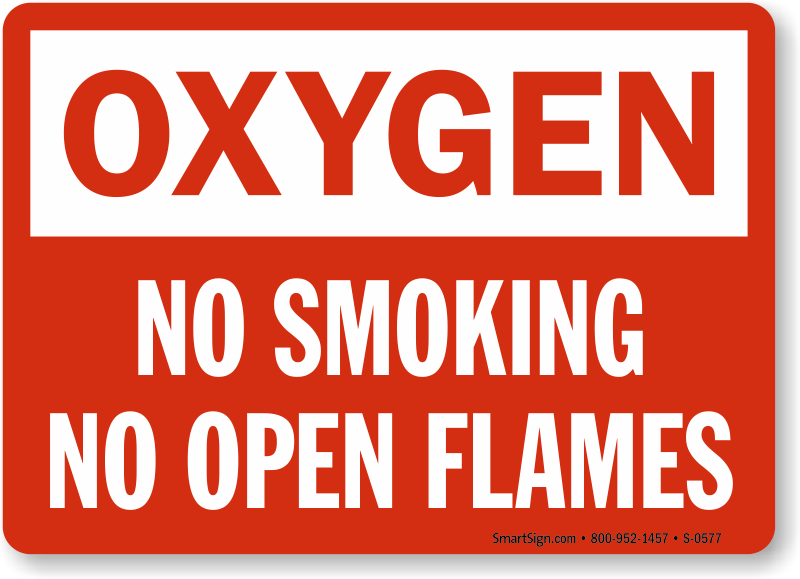 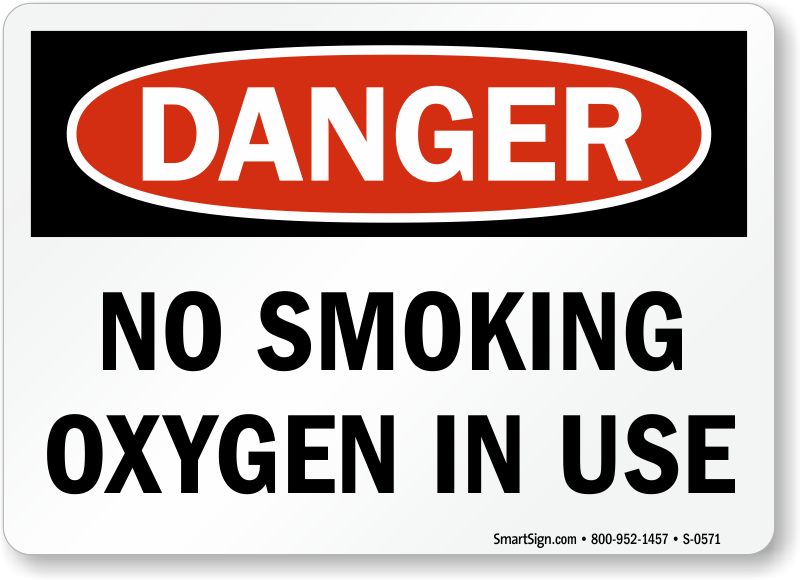 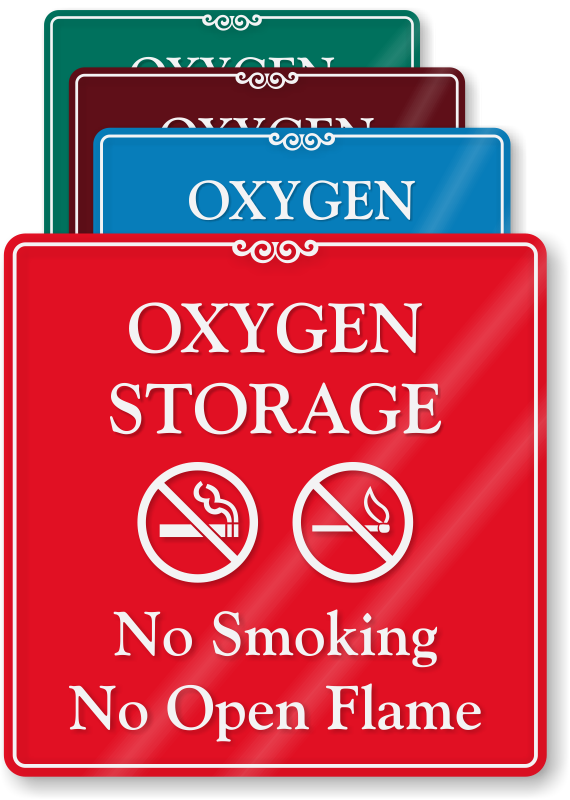 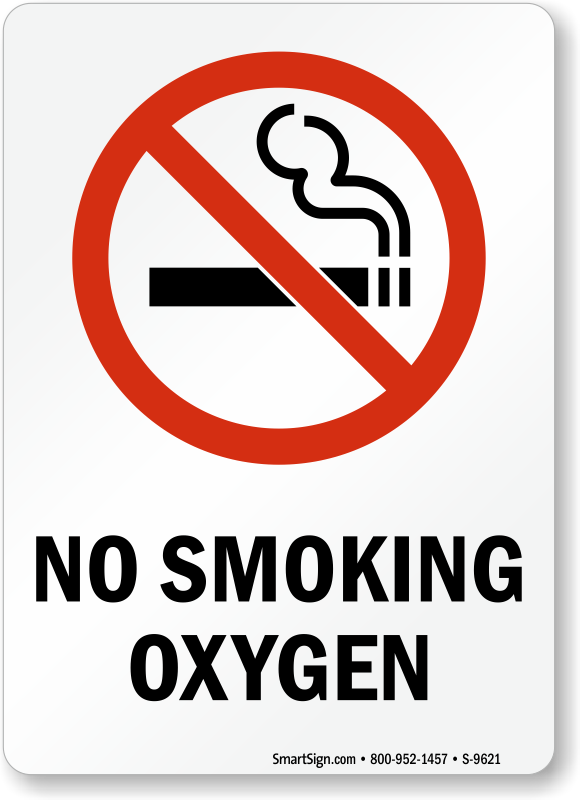 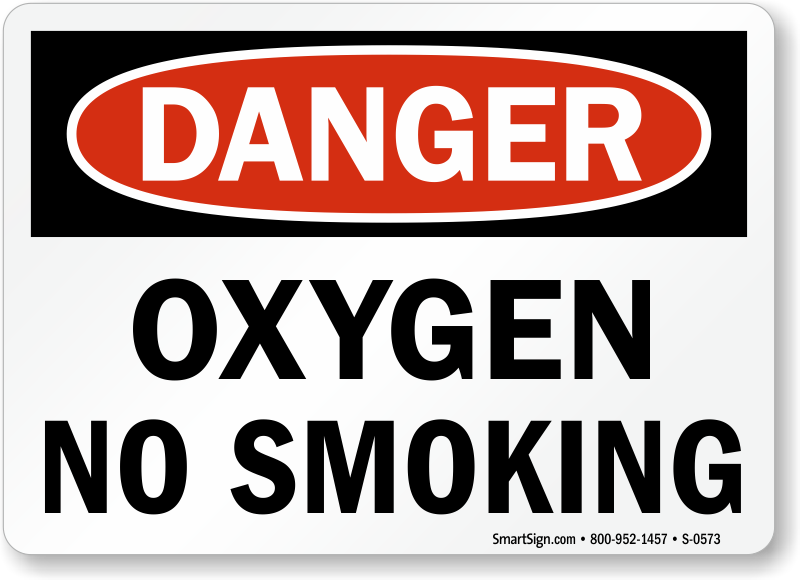 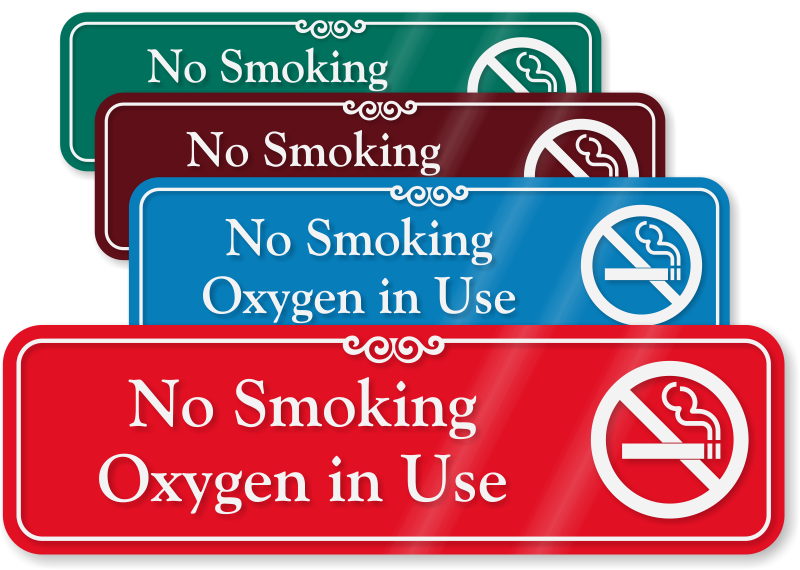 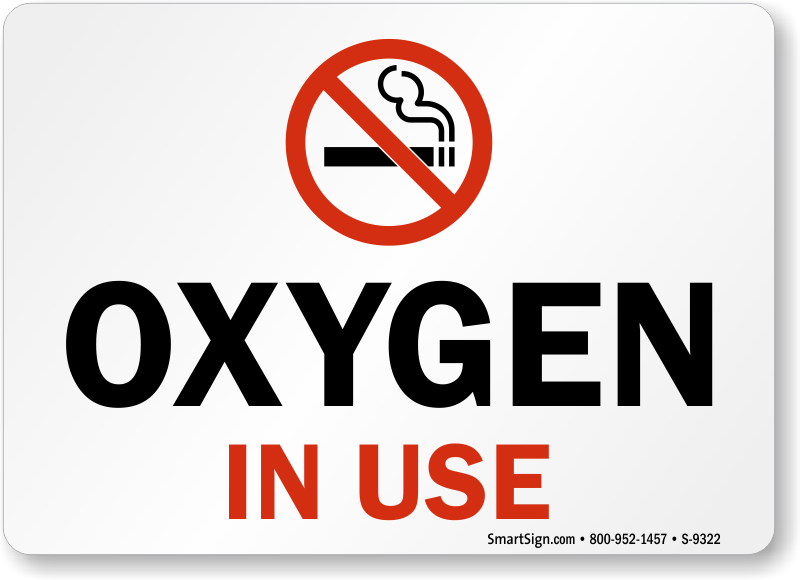 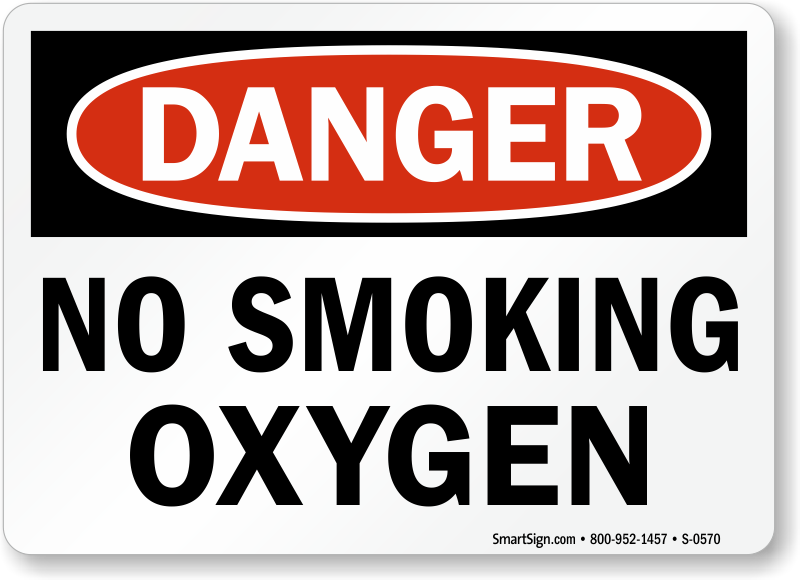 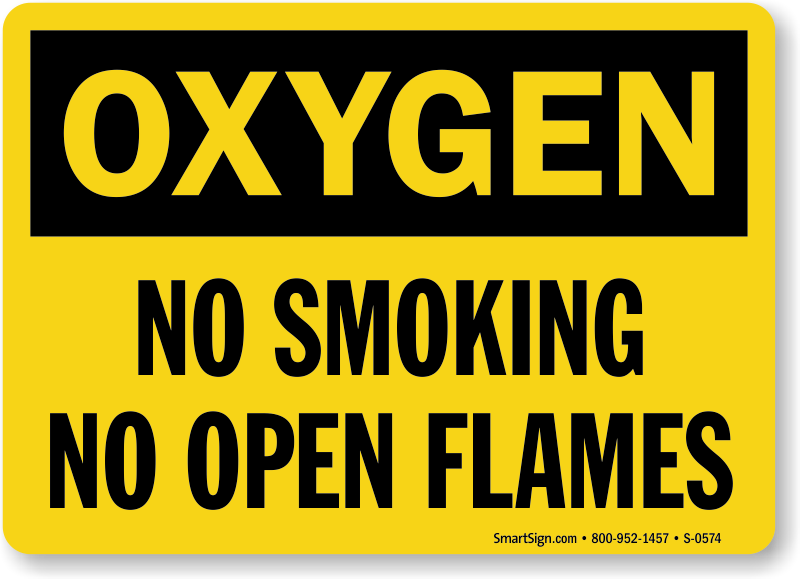 • Our Oxygen No Smoking Signs will remind visitors, employees, etc to not light up in the presence of flammable gases. 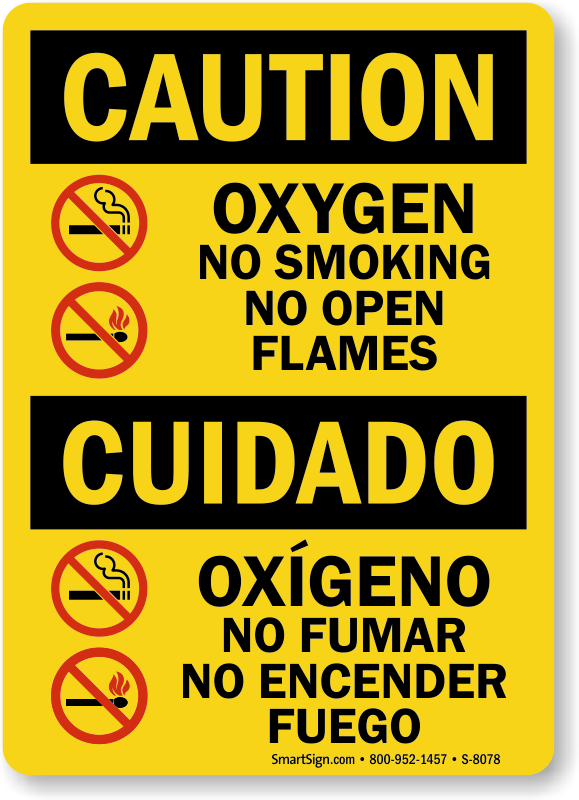 These signs will help prevent accidents. 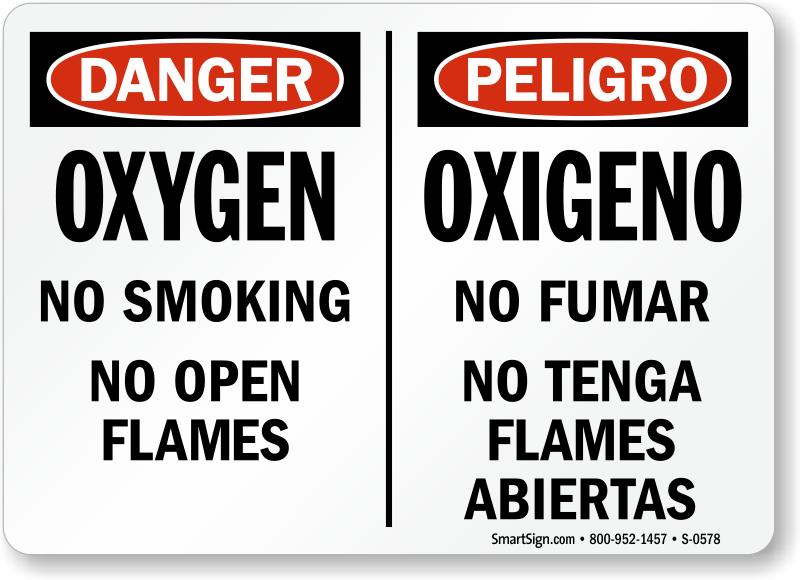 • Besides averting fire hazards, Oxygen Cylinder Signs also inform personnel of the working status of the cylinders. 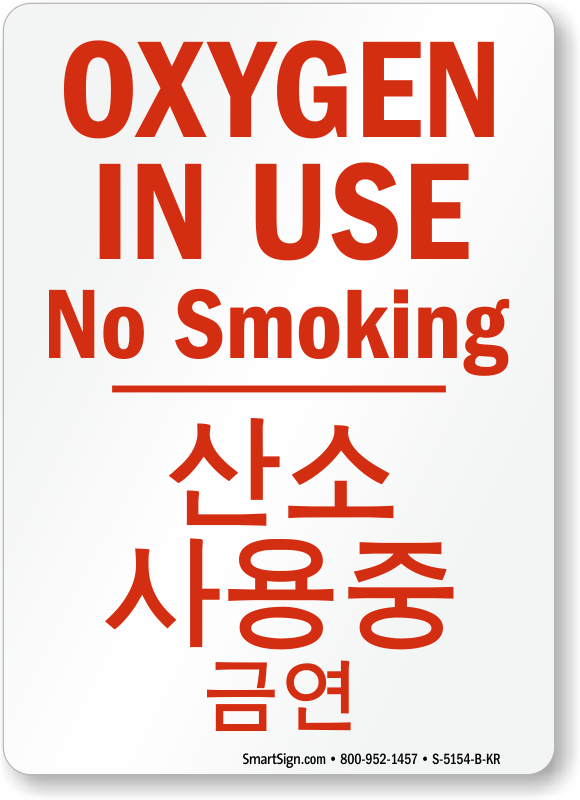 • Perfect for medical, industrial, recreational and scientific settings, our vast inventory of signs are designed for a variety of different applications – from floor, projecting and traditional signs to door panel tags. 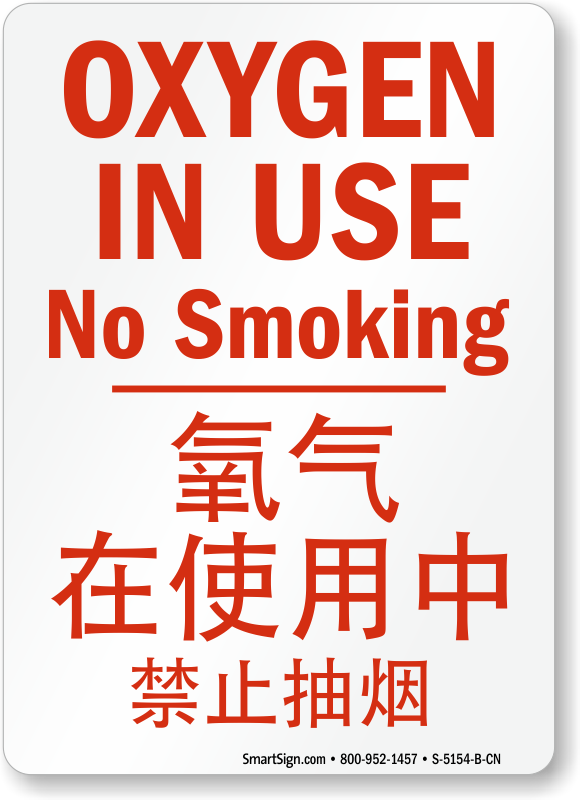 Sign was shipped directly to my customer. 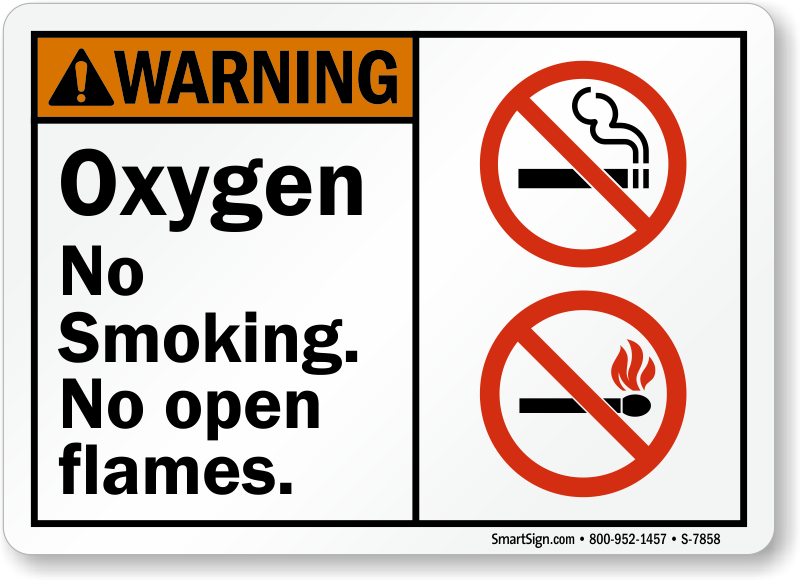 It was on time and they were really satisfied. 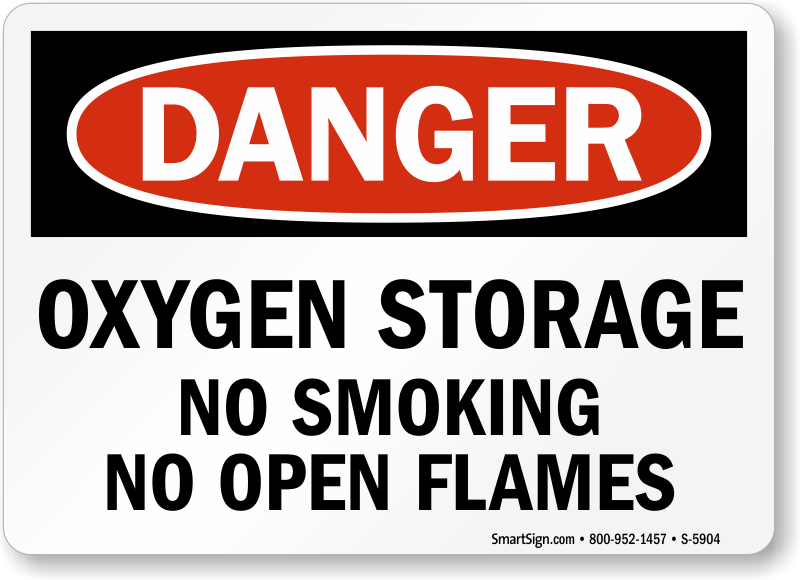 At least they stick and show danger. 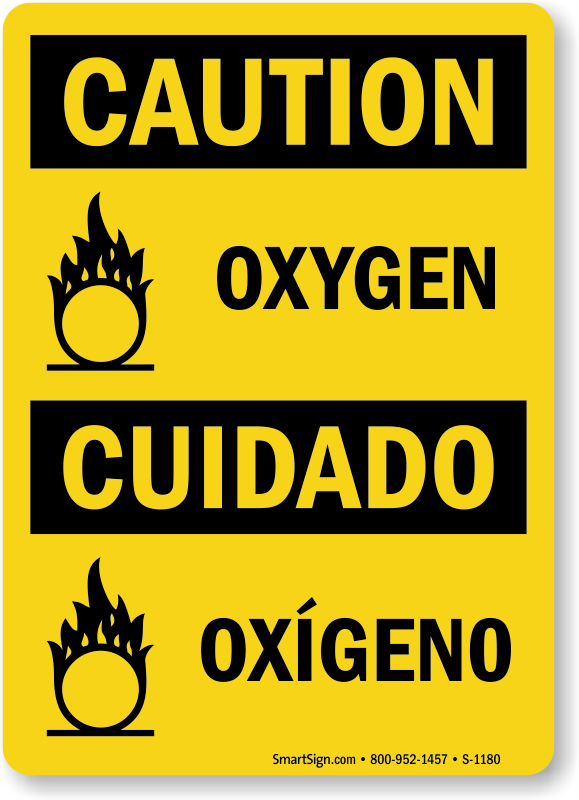 Like them. 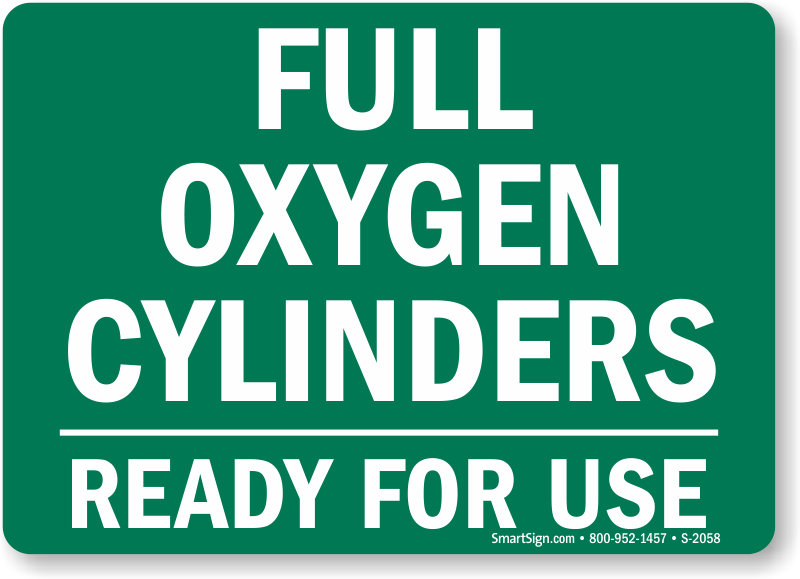 Re-ordering more. 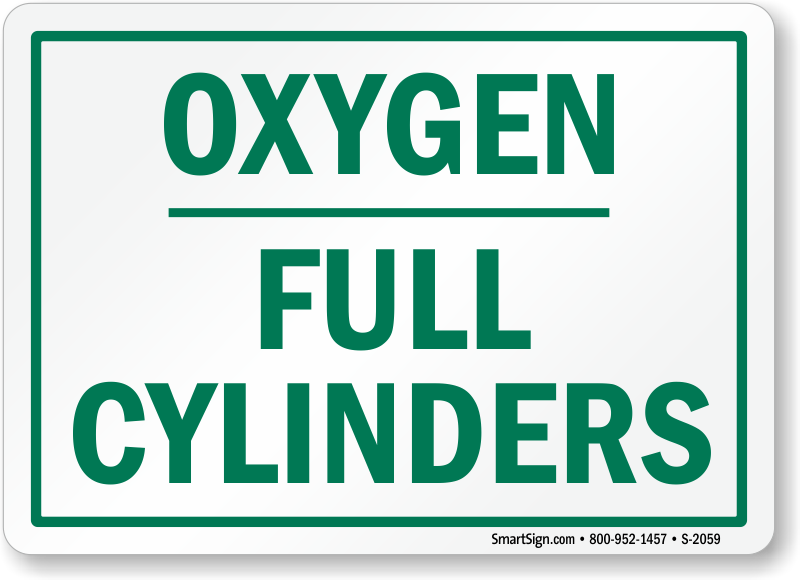 Perfect size for the window by my door. 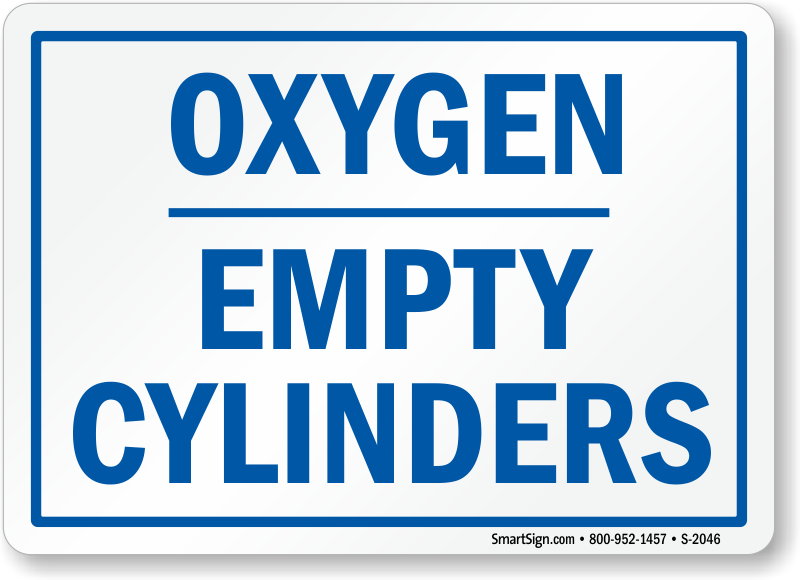 I would have preferred plastic, but nobody makes plastic in 5 x 7. 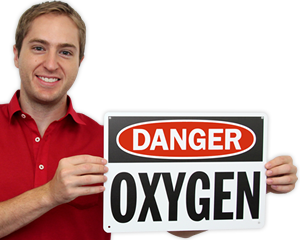 These seem high quality though so I'm happy with them.